A second collection of short stories from C. C. Brower In addition to later earlier novellas and novels, Brower continues her prolific output with short stories - all full of wonder and high imagination. Contemporary, Fantasy, Science Fiction - 14 wonderful stories from a different view of life. 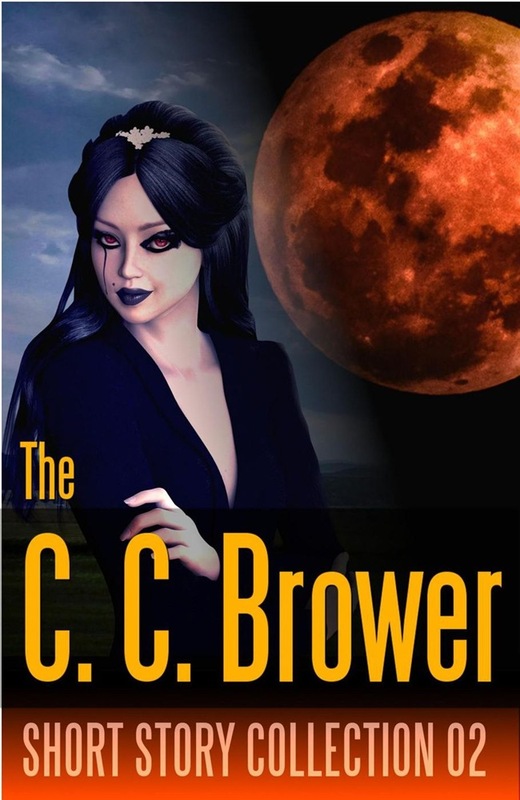 New ways to look at the world you live in, and ask yourself "what if" things were different... For Brower fans, this includes the final installments of the Hooman Saga, where a single human female escapes from a moon colony prison and crash-lands back on earth. Wanting to rescue the rest of her family, she has only the sentient wolf pack she befriended, a decimated human population returned to the Dark Ages, and elemental spirits - but no space technology remaining to cross that 240,000 miles of empty space. And yet... This anthology contains: The Lazurai Returns by C. C. Brower & J. R. Kruze Ham & Chaz by C. C. Brower & J. R. Kruse The Spirit Mountain Mystery by S. H. Marpel & C. C. Brower The Lazurai Emergence by C. C. Brower & S. H. Marpel For the Love of 'Cagga by C. C. Brower & R. L. Saunders When the Crow Calls by C. C. Brower Totem by C. C. Brower Moon Bride by C. C. Brower, S. H. Marpel Blood Moon by C. C. Brower, S. H. Marpel The Moon Cleaner by C. C. Brower, S. H. Marpel Moon Shadow by C. C. Brower, S. H. Marpel Moon Queen by C. C. Brower, S. H. Marpel Moon Rebels by C. C. Brower, S. H. Marpel Alice in the Moon by C. C. Brower, S. H. Marpel Scroll Up and Get Your Copy Now. Acquista C. C. Brower Short Story Collection 02 in Epub: dopo aver letto l’ebook C. C. Brower Short Story Collection 02 di J. R. Kruze, C. C. Brower, R. L. Saunders... ti invitiamo a lasciarci una Recensione qui sotto: sarà utile agli utenti che non abbiano ancora letto questo libro e che vogliano avere delle opinioni altrui. L’opinione su di un libro è molto soggettiva e per questo leggere eventuali recensioni negative non ci dovrà frenare dall’acquisto, anzi dovrà spingerci ad acquistare il libro in fretta per poter dire la nostra ed eventualmente smentire quanto commentato da altri, contribuendo ad arricchire più possibile i commenti e dare sempre più spunti di confronto al pubblico online.